This Bilal Ashraf, Urwa Hocane and Gohar Rasheed starrer has been making the headlines off and on but the much awaited trailer is finally here. The trailer presents Bilal as a top notch singer who falls for Urwa probably because of how different they both are and Gohar continues to be the baddie. 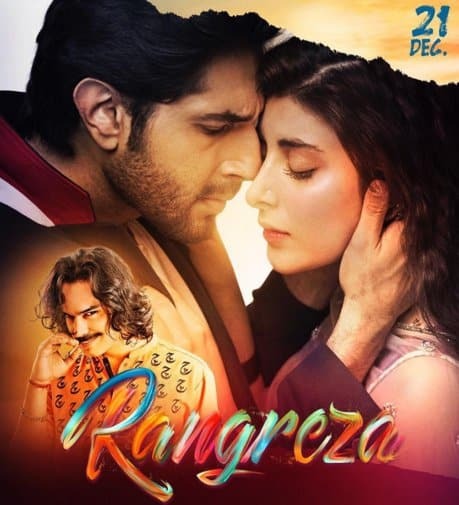 Rangreza has all the ingredients of a drama movie from a love triangle to a crazy antagonist, press, hysterical parents, love songs and tragic death (probably murder). What could go wrong, right? Публикувахте от Rangreza в 22 октомври 2017 г. Enjoy the trailer and do let us know how you liked it?